LGM, a subsidiary of Leo Motors, has unveiled its proprietary new electric powerboat at the 2017 Busan International Boat Show in South Korea. The company has converted Riva Ferrari’s 650hp internal combustion engine and propellant to 660hp of equivalent electric power for performance demonstration purposes. As a result of the conversion it accelerates to a speed of higher than 40kts per hour within seconds. 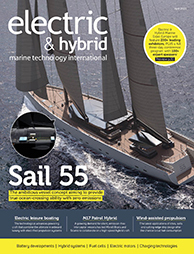 LGM’s electric inboard and outboard propulsion systems now range from 40hp to 700hp and include the company’s Sailing Generation System, which uses wind to recharge batteries while under way, eliminating conventional charging processes.